If you’re looking to pen The Great American Novel, Part Two or maybe just organize your thoughts and research on a writing project, Literature and Latte’s Scrivener is a great resource. The forthcoming version 2.0 will bring even more handy features and refinements for the dedicated writer, and on Tuesday developer Keith Blount showed off some of them in a lengthy blog post. There’s much more, too—enough so, in fact, that Literature and Latte have chosen to make Scrivener 2.0 a paid upgrade. Those using 1.0 or later will be able to grab the new version for just $25; if you’ve bought (or will buy) Scrivener after August 1, 2010, you’re entitled to a free upgrade. 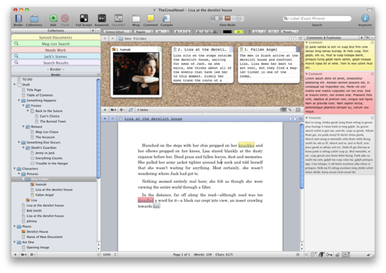 The full price for Scrivener 2.0—and, as of Friday, September 17, for the current version of Scrivener—will be $45.